We fished hard on April 7 th, having three trips on that day. In the Morning we Headed out to 350 ft of water with a nice current edge , which had purple water and north current. 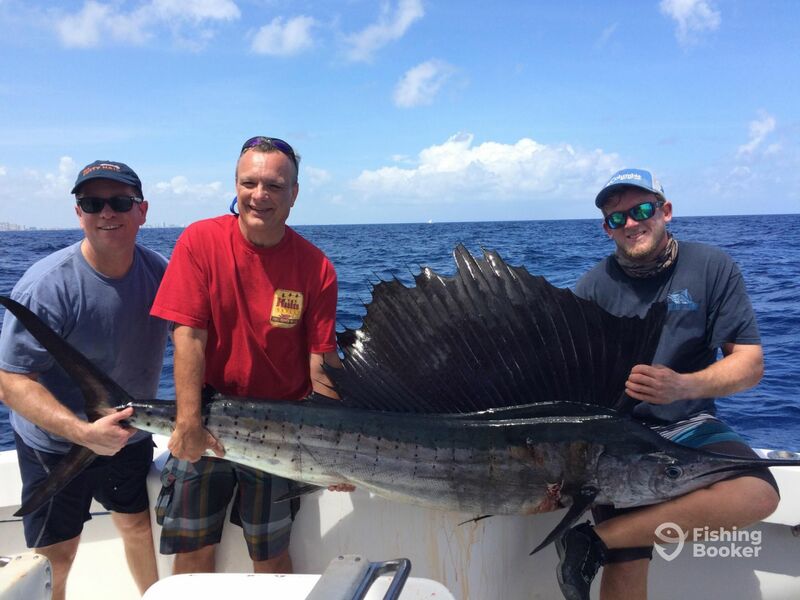 We Put the Kites up with live goggle eyes, after about 2 hours we hooked into one on the largest sailfish I have ever seen off the coast of Fort Lauderdale. The sailfish was 99” overall and was a Beast. We fought the fish for nearly an hour, our customer mike was about beat,by the time we got the fish. Later that night we had a Tarpon trip, fishing dead bait on the bottom on a near by sandbar. After 15 mins of fishing, we hooked our first tarpon, who dragged us around more than a quarter mile before landing the fish. When we got set up again we hooked a double header tarpon, pulling hooks on one and catching another. By the end of the night we ended up gonig 2/5 on tarpon and hooking into what we thought was a giant goliath grouper. We never saw the fish, pulling full drag into the marine, we ended up getting cut off. 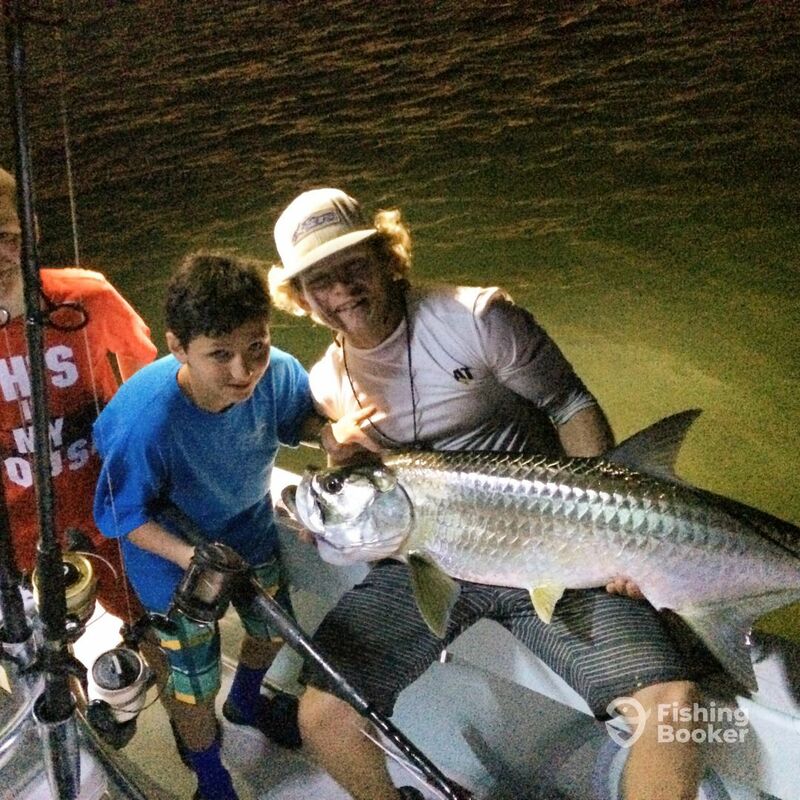 All in all we caught Enzo and Kaden their first tarpons ever, not an easy task and quite the rush. Book Your Trip today, Good Hit Sportfishing. Hi, my name is Captain Mike Muldoon. 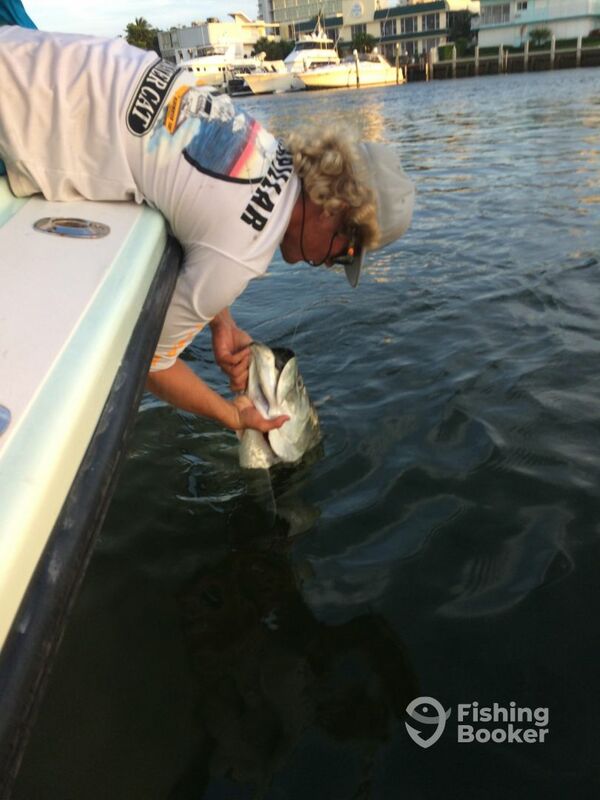 I have a lifetime of local knowledge and fishing expertise, as I have been fishing the South Florida waters since I was 5 years old. I have worked as both a charter and commercial fisherman in Fort Lauderdale, which separates me from other captains. I always stay on top of the latest fishing information and hot tips, and constantly add to my local knowledge. 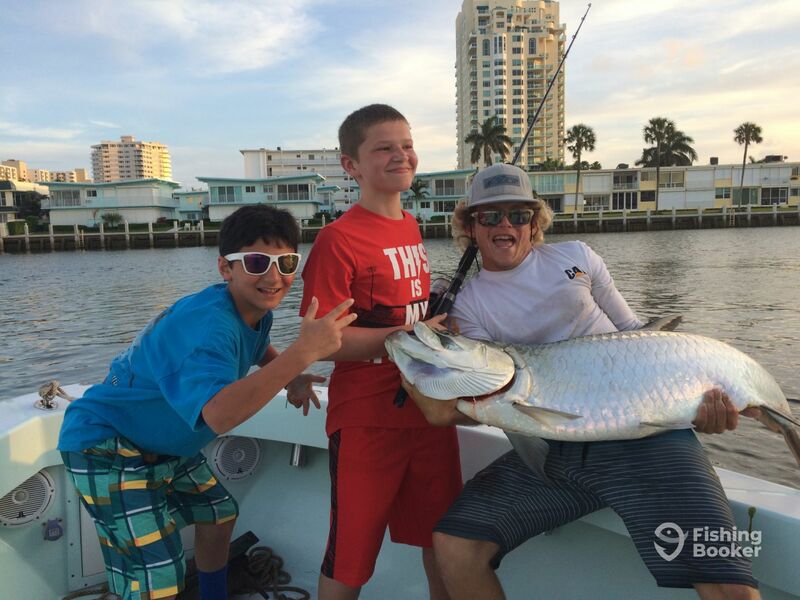 Join me on a charter for a fun day on the water - I always find the fish!